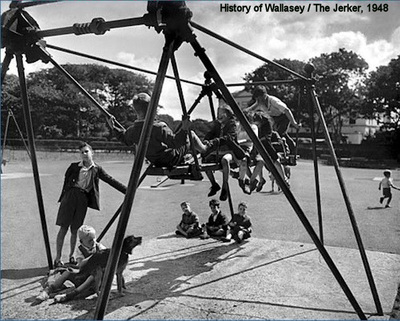 At Central Park we are building up Central Park Archives from the early days of the park right up to the present day. 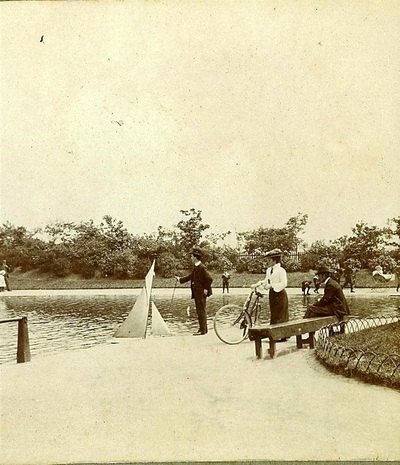 We are currently scanning images to the website, and eventually, building a complete history of the park that will be displayed in the cafe for the 125th anniversary of the park. 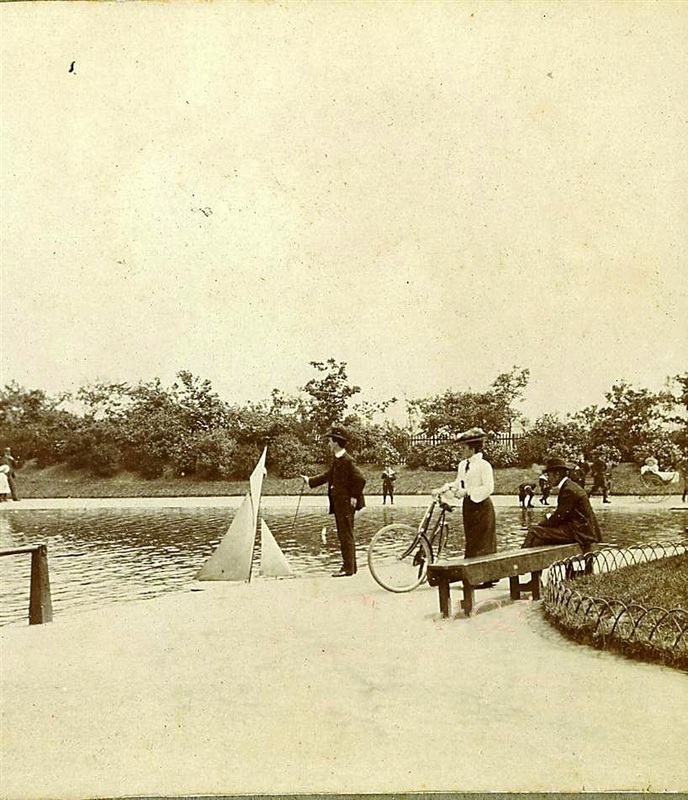 We are always on the lookout for more information on the history of the park & area around the park. A way you can help us is to tell us your stories and any information you may have about some of our archival material. Please feel free to contribute your knowledge to help us build an accurate and concise archive of our wonderful and historic park. 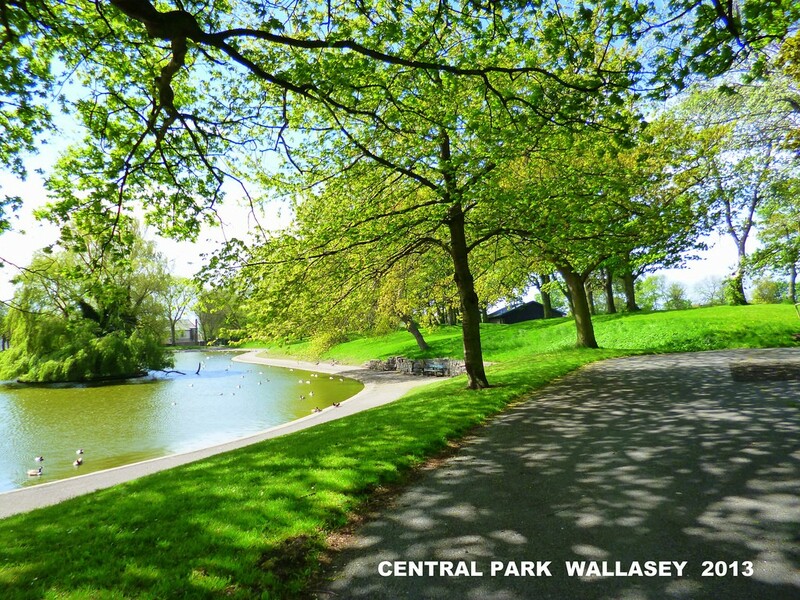 You can email us directly centralparkwallasey@gmail.com with any pictures or drop them off at the cafe and we will scan and return them to you. In 1835 during the reign of William IV Liscard Hall was built by one of these successful businessmen Sir John Tobin. The piece of land where it still stands was originally owned by the Prior of Birkenhead, one field being called Moorhey and another called and another Middle Moorhey. Sir John bought the land from F.R.Price, Esq., of Bryn-y-pys and the house was initially called "Moor Heys House". Sir John Tobin was a member of an influential family in the Isle of Man. He was born in 1762 to Patrick Tobin and was baptised at Kirk Braddan Church on 30th October 1763. He went to sea at an early age as an apprentice in a merchant vessel and on his very first voyage was captured by a French privateer. Fortunately for him his father knew the Master, who released him. When he became a master mariner in 1793 Britain was still at war with France and he took command of the privateer Gipsy. In 1797 he became master of the privateer Molly, which could carry a complement of 436 slaves. As these ships were both privateers and slavers he spent his years as a master shipping slaves across the Atlantic and occasionally attacking enemy vessels. He captured three French ships, each of which carried valuable cargoes, which included slaves. 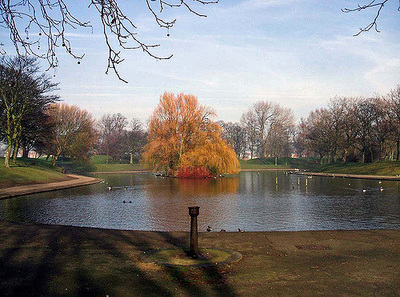 In 1789 he married the daughter of James Aspinall, a Liverpool merchant and lived at Oak Hill Park in Old Swan. He had one son John and three daughters. Preying on enemy shipping made him a rich man and he retired from the sea at the age of forty to become a merchant in Liverpool, where he continued the lucrative business of privateering and slaving until it was abolished in 1807. He acquired a fair amount of land in Wallasey. In 1809 he was one of the promoters of an Act to enclose common wastelands in the area. In 1823 Sir John quarrelled with one of the two Parry brothers, lessees of Seacombe Ferry. The quarrel came to a personal encounter and was taken to the courts. In 1828 he bought land on the banks of Wallasey Pool. On 10th November 1830 he gave 7,000 square yards of this land and £1000 towards the building of St.John's Church. In return for this gift Sir John was accorded the right of presentation of the first minister. At the age of 24 his son, Rev.John Tobin, had been a curate for a few months in Burnley, with little experience of parochial work, was appointed the first minister. His only obligations were to conduct a minimum number of services and visit the sick. The pews in St.John's Church were sold and all seats not let were kept locked. In 1833 Sir John built Liscard House for his son on what is now Eaton Avenue and Ferndale Avenue. It was approached along a broad carriage-drive now occupied by Chatsworth Avenue, entered between classical gateposts known as Tobin's Gates. Rev. John Tobin was a corpulent man. On one occasion he crossed the river on a ferryboat, which was crowded with trippers from Lancashire. As they boarded the rickety gangplanks one of the trippers was heard to say, "Wait a minute and let that fat chap go first. If it bears him, it will be safe for us". Moor Heys House was built in 1835. 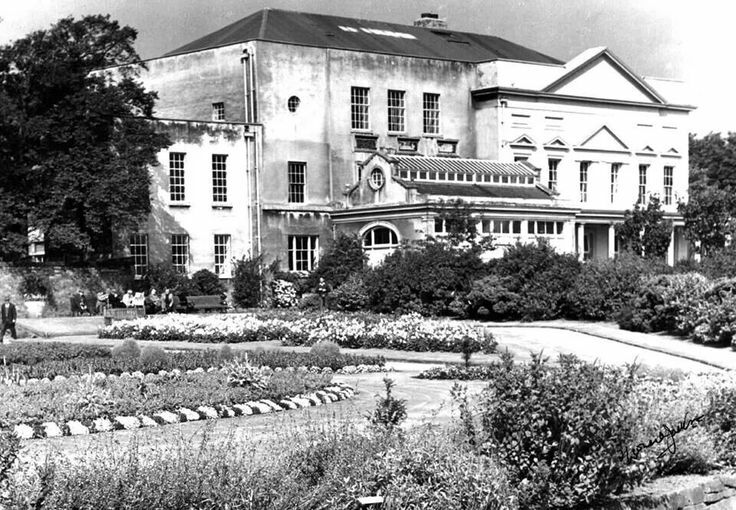 Now called Liscard Hall the building still standing is in the neo-classical style, five bays by six bays, with pillared porch and pediment roof. The site stands high and must have looked over fine views of the surrounding countryside. Sir John also had a fishing lodge at the very edge of the river, at a spot called Codling Gap. Opposite here he moored his yacht, which he used to cross the river in preference to using the ferryboats. Lady Tobin always kept a telescope in a room at the Hall, the window of which commanded a view of the river, so that when it was stormy she could watch the boat crossing, and seeing her husband's safe arrival, be relieved of her anxiety at the earliest possible moment. One of their daughters became Mrs James Cockshott; the second became Mrs Reddie the wife of the Governor of the Isle of Man. The third daughter Margaret (who had seven other Christian names) married Harold Littledale. 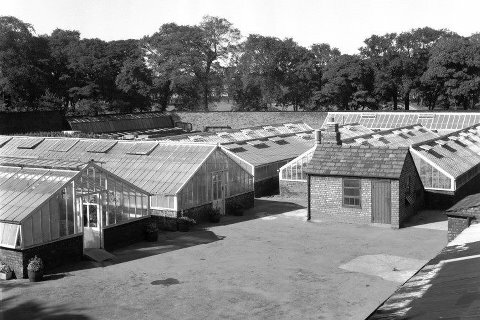 Mr Littledale created the Model Farm in what is now Rullerton Road. To quote from the History of Wirral by Mortimer, "The model farm of this Gentleman is unquestionably one of the greatest lions of the day, as is proved by its being almost daily visited by everyone who takes an interest in agriculture…. There are one hundred stalls for cows, as well ventilated as Her Majesty's stables at Buckingham Palace……. The dairy contains a marble fountain, which would put to shame those exquisite specimens of national taste recently erected in Trafalgar Square……"
Sir John was the builder and owner of the Great Liverpool 1,150-ton steamship launched in 1838 and then considered a marvel in naval architecture, with 461 horse power. He died on 27th February 1851 and is buried in St.John's churchyard. The tomb can still be seen on the north side of the church. Captain Scoresby, commander of the arctic whaler Baffin, after surveying the coast of Greenland, honoured him by naming Cape Tobin after him. 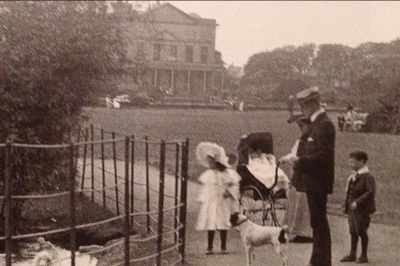 Liscard Hall was passed down to his son-in-law Harold Littledale, who died in 1889. His fortunes were adversely affected by speculating on the cotton market. Harold's son wanted to marry his cousin (Sir John Tobin's grand-daughter), but as his father objected, he became a recluse at the Hall. He also died in 1889 and is buried in St.Hilary's graveyard. 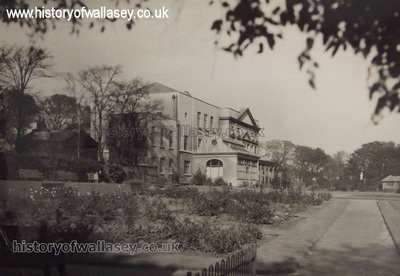 After Harold Littledale died the Hall plus grounds were purchased by the Wallasey Local Board and opened to the public. The grounds became known as Central Park and were consolidated in 57 acres around the buildings. Since the Enclosure Act of 1809 there were very few open spaces accessible to the public so this was the first major acquisition. The Hall was later developed as the School of Art as part Wallasey College of Further Education. Between the wars the numbers of students increased from 23 in 1925 to 27 in 1938. The number of students enrolled dropped sharply during World War II. The Home Guard HQ shared the accommodation and some of its members were induced to become students at the school. The Grade II listed building later became Wirral Metropolitan College then Serve Wirral Trust. In 2003 the building becabe vacant and pland had been put forward to turn the hall into a hotel, or community space and become part of the park. In the early hours of 7th July 2008 firefighters were called to tackle a serious fire at Liscard Hall which had been started by local vandals. Crews from Wirral and Liverpool were called as three floors of the building were engulfed in flames. The damage was too great to the Grade II listed Hall and deemed too unsafe so the building was demolished. Liscard councillor Leah Fraser said: “While it looks like the yobs are the cause of this fire, I’m afraid Wirral Council must also take some of the responsibility. The council had allowed this building to fall into disrepair.” She said the local authority had “dithered in what to do” with the hall and “promises of community use” came to nothing. “Sadly, we can now see the result”.